Mobile World Congress has moved way beyond its origins as a place for mobile networking equipment vendors and handset companies to meet with mobile operators. These days it’s also a big meeting point for the various companies in the app ecosystem including the mobile advertising and app marketing networks. The hall with the biggest buzz is really App Planet where the majority of mobile ad company exhibition stands are located. Just walking around here you can really take the pulse of the industry and see who’s hot, who’s not and what the trends in the marketplace are. You can check out our review of mobile advertising and app marketing trends at Mobile World Congress 2013 here. As usual, we managed to take a few pictures of all the mobile advertising and app marketing related companies booths we could find and here’s a few notes on each. 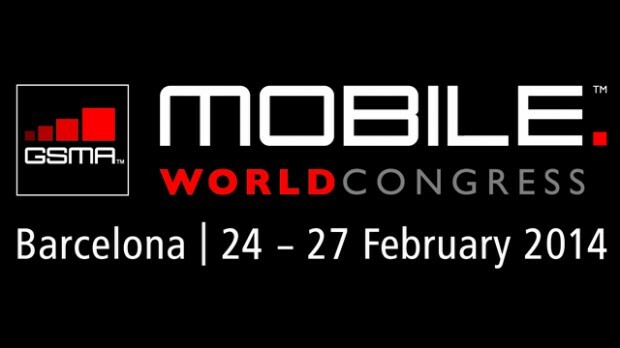 Hopefully this helps give a flavour of everything going on at this year’s mobile world congress for those who couldn’t make it. The Ad4Screen guys had a big booth this year and were showing off a lot of cool products including their engagement and retargeting solutions which are looking pretty exciting. Nice to see these stands with all the new products and so on being shown off and displayed instead of just a logo or something. App Analytics company Distimo was showing off their new branding with looks really good it has to be said. @bookmeister and @catchthepidge were working hard as always talking to developers and publishers about their appstore stats and analtyics. Fiksu still in attendance with their incentivised app discovery platform FreemyApps taking up a bigger part of the stand this year, apparently its the no.1 app discovery app in North America … Great talking to a couple of the team and hearing all the news. Our friends at Leadbolt were showing off all their latest ad units and doing lots of business – great to catch up with Marc Carr and hear all about it. Appsfire were showing off their new native ad units and great to catch up on the news with Ayala and I hope we can get her to speak at the next App Promotion Summit! Matomy have just announced their IPO and are going great guns – here they were showing off all their various mobile advertising and app marketing solutions. A shame not to see our friend Noga there but maybe next time. Great to meet a few of the Matomy staff and understand more about this fast-growing company. Airpush had a massive presence this year – one of the biggest, if not, the biggest stands in App Planet with lots of schwag and so on and again hosted one of the bigger parties at the W Hotel. They seem to be shrugging off the ban on notification ads by google pretty well with a load of new products and ad formats including a DSP service. The team from HasOffers were out in force and great to talk to them both about Mobile App Tracking which is an amazing product in its own right but also the HasOffers platform which has been the basis for many successful mobile ad networks and affiliate networks. Our friends at mobpartner were showing off their new ad widget and offering much needed coffee as usual. They are growing fast in Asia now with a lot of momentum for their CPA based ad network. Great to see Guillaume, Vianney, Cristina and all the team there in force. Didn’t manage to speak to them although I dropped by to say hi to to Abraham who contacted us here regarding listing in the directory – they look like they have some interesting stuff going on. Another one where we didn’t manage to get a photo of the booth but we did speak to the Chief Strategy Officer Ajitpal Pannu – very interesting conversation and more to follow on that. Smaato have recently folded their DSP adsmobi back into Smaato and have a great position now as one of the leading mobile exchanges, particularly now that mopub is part of twitter. MassiveImpact have a good reputation as a performance based media buying platform/ agency. Didn’t manage to speak to them though. Crazy name crazy company? They are based in France and do app marketing stuff – friendly people and nice to see them again this year. minimob is one of the app focused ad networks – again didn’t speak to them and should have made the effort – next year! We’ve seen AdMaxim come past our radar and went to find out more … they are basically offering a premium DSP focused around bigger brands and including helping with rich media creative. Interesting new spin on the model. We didn’t manage to talk to them but they offer a mobile DSP service. The app analytics company were here – they must spend a lot on conferences as you can pretty much guarantee to see them at almost every mobile-related event. Last year AppLift were in a small stand as part of the Berlin pavillion/ contigent – this year they were at App Planet in force with lots of their growing team and their usual team of foxes. Well done to Maurice for putting a great booth together! One of the better online ad exchanges and already partnering with Millenial Media and Matomy to deliver mobile and app advertising services. They also had their own stand here at MWC. A new network on the scene appOptim have a social SDK that hooks into the various social networks including Whatsapp to help deliver viral app advertising alongside the conventional units. Great to see them here at MWC and nice talking to Michael ! Great to talk mobile ads with CEO Naveed a fellow adexchanger.com devotee! Addictive Mobility is a premium DSP focused on brands, HQ in Canada and expanding globally. Juice Mobile is another Canadian ad network and was nice talking to CTO Jack. This is Neil from the mobile affiliate network admobix holding court at the stand – unfortunately he was too busy all the time to get a minute to grab him for a chat – hopefully next year Neil! Appsflyer recently raised $7m and here they were with their app tracking and analytics service. Another app discovery service, AppTurbo have managed to avoid unwanted attention from Apple and appear to be thriving ! One of the original mobile ad networks and apparently still going strong! Online retargeting company Criteo recently acquired the app tracking service AD-X and they lead with this product at the show. One of the app tracking services out there – didn’t manage to catch up with them. Opera has been hoovering up ad networks and mobile ad companies for a while and most recently one of the South America mobile ad networks – so they ended up with a couple of booths at the show hastily rebranded as Opera Mediaworks. The online SSP PubMatic were here showing they know mobile … they have been recruiting some people with mobile experience so that may well be true. They offer incentivised ads mainly for the mobile games market – similar to something like TapJoy and do lots of rich media and that kind of thing – again they’ve come past the radar so nice to talk to them and find out more about it. Surikate is one of a number of great french companies operating in mobile ads – they now seem to have hooked up in some way with a new brand Numbate – didn’t manage to get the low down on that yet. One of the more established app advertising companies and here they were with the usual bright red stand – they normally have nice pens and things to give away but I didn’t see any this year. The original engagement/ notifications specialists and here they were at mobile world congress. So that’s it for another year. All in all it looks like mobile advertising and app marketing at Mobile World Congress is in Rude Health! If you think we’ve missed anyone out shout in the comments!